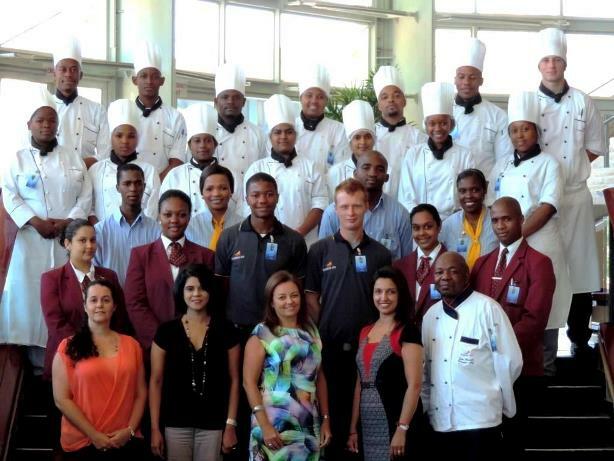 Building on the success of its two skills development programmes in 2013 the Durban International Convention Centre (Durban ICC) has doubled its intake this year to provide even more opportunities for young people in South Africa’s tourism industry. The Durban ICC designed its Graduate and Student Programmes to address the need for young people to gain essential skills and first-hand working experience in the industry. The Durban ICC Graduate Programme was introduced in 2013 with a view to assisting recent graduates begin their full-time working careers in an environment of mentorship and guidance. Initially eight post-graduates were taken on-board in the Centre’s culinary department and now this programme has been expanded across all departments, accommodating over 20 new employees in the 2014 year. Graduates positions include security assistant, food and beverage assistants, desktop publishing, AV/technical assistants, commis and demi chefs, information officers and junior engineers. The Durban ICC has also offered a Student Programme for many years in partnership with the Durban University of Technology (DUT). The programme was overhauled in 2012 to better integrate their academic studies with the real-world working experience they receive at the Centre. The Centre now offers internships every year and has expanded its intake from eight to 11 students for each intake. These students are currently being trained in the Culinary, Operations, and Facility Services, Marketing, Sales and Events departments. The on-the-job training gives these students a significant advantage and enhances their career prospects upon graduating. The company is also pleased that some of the successful members of the Student Programme have gone on to be placed in the Centre’s Graduate Programme.